A lot of successful cases have been proved that waste tyre pyrolysis plant project really can create more profits for us. 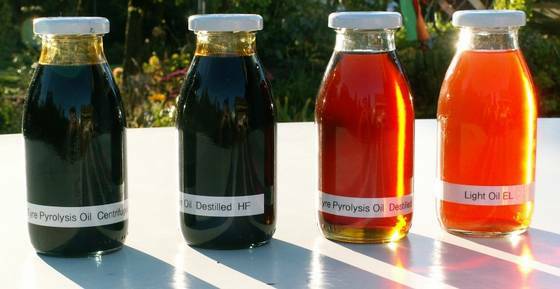 Because waste tyre can be turned into fuel oil(about 45-50%), carbon black(30-35%), steel wire(15-20%) and some combustible gas by using pyrolysis plants. And these end products have wide range of applications. The tyre pyrolysis oil can be used as liquid fuels for industrial furnaces, foundries and boilers in power plants due to their higher calorific value, low ash, residual carbon and sulphur content. The carbon black from tyre pyrolysis can be used as ingredients for building materials can be sold directly. The steel wire can be recycled into smelting plant or can be sold directly. The combustible gas can be recycled as fuel to to heat the reactor, this will save energy for the whole working process. So how exactly does tyre pyrolysis happen? First, Feeding the whole waste tyre or shredded tyre into the pyrolysis reactor by manual or auto feeder, then fire the fuel to heat the reactor. After the temperature increases to relevant degree, the oil gas will be generated and enter the gas separator. Here, the heavy components will be liquefied and drop into the heavy oil tank. And light oil gas will go to the oil condenser that being liquefied and flow to the oil tank. The unliquefied combustible gas enter the hydroseal , in here , after desulfuration and purification , one part of it will be recycled to heat the reactor, another part will be burn out to reduce the pressure while the pressure is too high. Meanwhile, the exhaust goes through the flue condenser to reduce the temperature first, then be cleaned by the powerful spray tower. Four layers filter (water washing, ceramic ring adsorption, activated carbon adsorption in the spray tower to ensure the emission that meet your local environmental protection standard. Our company not only has combined with more than ten years of production experience to create the latest waste tyre pyrolysis plants, but also has contributed to utilization of solid waste resource and the environmental protection industry. 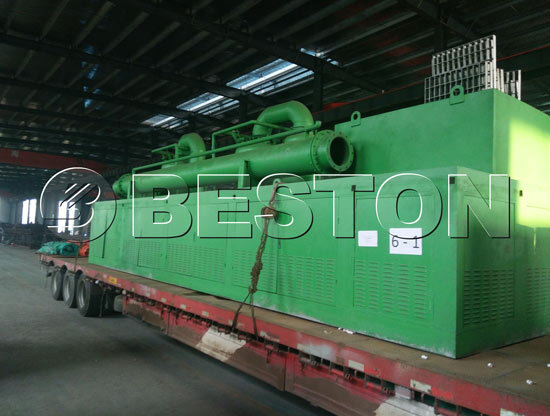 At present, Beston tyre pyrolysis machines are becoming more and more popular all over the world. And these machines have been exported to many countries: United Kingdom, Turkey, Poland, Nigeria, Ukraine, Romania, Malaysia, Brazil, etc. If you intend to invest in a waste tyre recycling plant project, please contact us at any time. 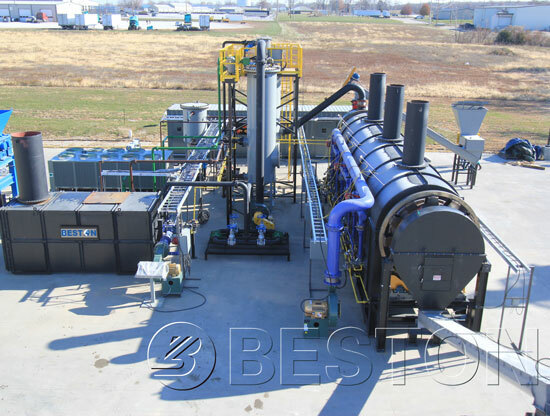 We will tell you the detailed cost or price of a waste tyre pyrolysis plant.